Introduction: In this article, Mary Harrell-Sesniak searches old newspapers to find some of the early genealogy-related jokes that our ancestors enjoyed. Mary is a genealogist, author and editor with a strong technology background. Have you ever wondered who was the first to coin a genealogy joke? Many of the more obvious ones are not original to our generation of family historians. If you’re curious, search for known punch lines in GenealogyBank’s Historical Newspaper Archives and you’ll find quips referring to turning over new leaves, going up the family tree, and so forth. But then again, there are a whole lot more genealogy jokes that have been forgotten. 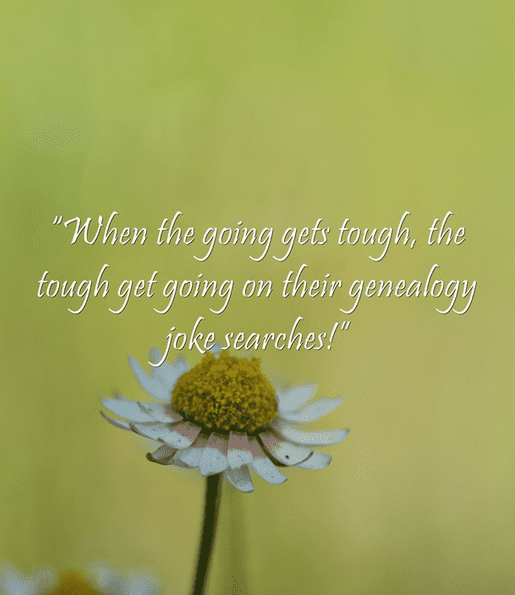 To brighten your genealogy research day, let me present some tongue-in-cheek observations that seem apropos when blogging about our favorite subject: genealogy. 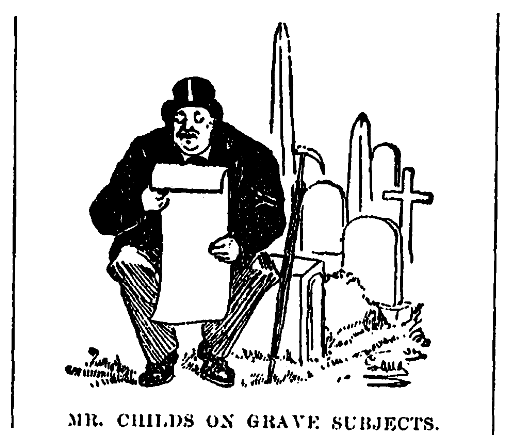 There’s a lot of grave humor out there, and even the occasional lampoon, such as this one about Mr. Childs on grave subjects. My theory is that there must have been a genealogist, or a relative of a genealogist, on the staff of some newspapers. Take, for instance, these gems. And then there are related subjects, such as observations on the family coat of arms. And let’s not forget jokes about wills and estates. This is one of my favorites!